Discussion in 'Apple Watch Talk' started by scifan57, Dec 31, 2016. I just got my December move goal award. I still didn't get mine, and I'm wondering why. I've achieved my Move goal every day in December. Have you checked every day just to make sure? Did you recently change to another of your Apple Watches? 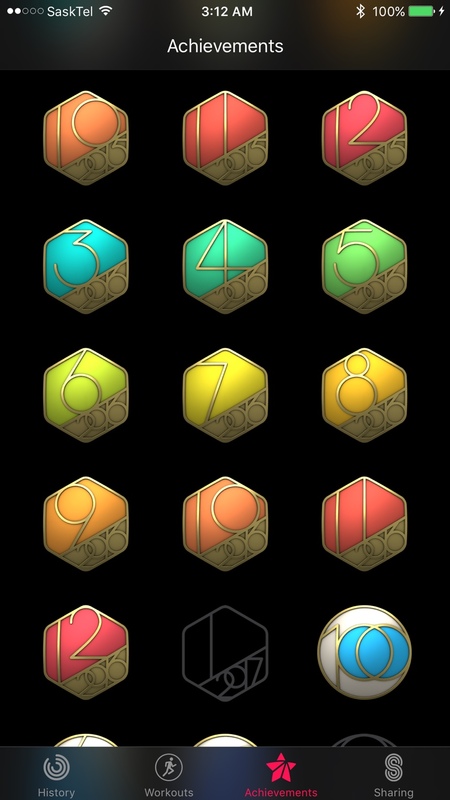 Sometimes when switching between Apple Watches it can take a few days for the move goal awards to start working properly, at which point all the missed ones will show up at once. I've looked through the whole month, more than once, after completing my Move goal last night, and this morning. Nothing was missing. I'll take a look at it once more. Afaik, I didn't switch watches in December. I'm using my new AW most of the times. There was a glitch this week - the battery didn't even last a complete day. I had to force start it, which solved this, but it didn't affect my activities, afaik. Were you receiving the Longest Move Streak awards and did these continue after the glitch? When you complete your move goal today, check to see if you get the Perfect Week(Move) award. The last time I've received the Longest Move Streak awards was December 13, no idea why I didn't get it afterwards. Just checked the Activity app, and all my achievements and my activities from last year disappeared completely. Edit: force starting my iPhone brought them back. Did anything happen on the 13th? Something must have happened near that date to cause your problem. Do you have a backup of your iPhone from late last year which could contain last years activity awards? Nothing happened to my activity records and awards so the problem isn't affecting everybody. I don't remember anything special happening on December 13th. My iPhone is backing up to iCloud every day. The last encrypted backup to iTunes was at the end of October, so it's of no use in this case. If the achievement awards were still there yesterday, maybe restoring your iPhone from yesterday's iCloud backup will get them back for you. I force started my iPhone, which brought them back again. I've sent feedback to Apple. 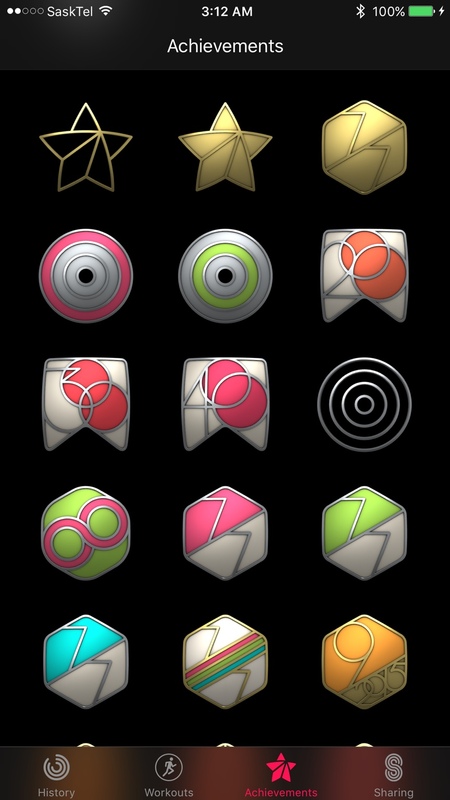 I've just noticed that iPhone and Apple Watch have been updated the day before I received my last "Longest Move Streak" award. Could this be connected to my problem, somehow? It could be. I've had activity awards stop and activity achievements disappear after an update before and had to restore the phone from the backup I made just before the update to fix the problem. This also meant re-pairing the Apple Watch. In your case, it would cause the loss of all data since the last backup from before the problem. Ouch! I should backup my iPhone to iTunes more frequently. I guess the iCloud backup from December 11th won't be available now. I wouldnt know as I've never used iCloud backup. I suppose only the last few backups are saved? iCloud saves the last three backups. I've noticed while searching for my last backup to iTunes, that I still can find those from 2015. Time to change my backup routine.